Warm & Fuzzy Over KBL Anniversary, But Where Is Valerie Jarrett? 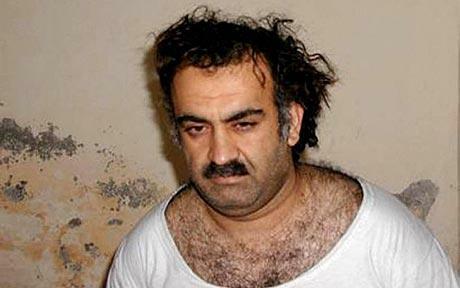 Thank goodness for water-boarding and other enhanced interrogation techniques, or the intel gathered may not have contributed to the Al Qaeda in-fighting between KSM (Khalid Sheikh Mohammed) and Ayman Zawahiri, who eventually lured special-ops attention to Osama bin Laden’s courier presumably angling to assume leadership of Al Qaeda. But the more interesting story on the eve of the KBL Anniversary (“I am the greatest”), and the jab at Romney -would he have had the guts to make the tough decision? . . . . like Bill Clinton?? . . . . . . . is the little known story that egged on by senior aide Valerie Jarrett, Obama waffled, vacillated and yo-yoed back and forth stalling endlessly. They even called the raid off the night it was originally planned saying the weather made it too dicey! -what if OBL isn’t in the compound? -should they execute the planned SEAL Team 6 ground assault or just bomb Abbotabad? -what will it do to our relationship with the Pakistanis? -will it inflame the Muslims? and on and on until Leon Panetta and the military brass finally gave the order, basically doing a ‘workaround’ Jarrett’s and Obama’s indecision. According to this amazing story on Socyberty.com, Secretary of State even threatened to leak it if a decision wasn’t made. And the 64 Thousand Dollar Question is: will we see this on any mainstream media outlet as the libs celebrate the anniversary and Obama trashes Romney’s leadership resolve? And the answer is: not no, but hell no! Kudos to the United States Navy Seals! Don’t be confused where the credit lies! Our brave men and women in the military -vilified by so many. They are the ones who got the job done despite having their hands tied with the ridiculous, lame, politically correct rules of engagement. But pay attention to the rats who run for cover (Pakistan) and the rats who take credit. Spontaneous patriotism at Ground Zero. BTW, do you really think Pakistan had no idea Osama bin Laden was hiding in this compound right outside the city of Islamabad for so long? Can you get a grip? It’s way past time to shut off the gravy train of US$ to Pakistan until they turn over al Sawahiri and all the rest of OBL’s cohorts.